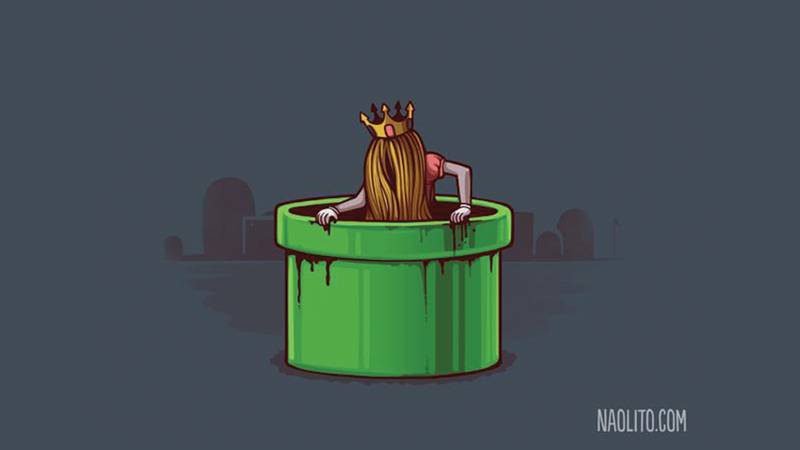 The Ring girl crossed with Princess Peach is a terrifying thought. Consider your childhood memories—and every console connected to a screen—forever ruined. Or at least ruined for the next seven days, after which you realize you were being ridiculous. C'mon, guys, seriously. The Ring girl isn't real! ...Right? Um, I'll be in my bunker for the next seven days. The artist, Naolito, has a few other pieces that are available on T-shirts, too, like this one. Otherwise check the rest on the site. Also credit to CrazedLunaticEsquire for my headline joke!